Identifying anonymous or repeat cart abandonment visitors, engaging them at the time they are on a website, capturing vital information for remarketing etc. is significant to stepping up the likelihood of a conversion. Airlines have to make an impact in a matter of few seconds otherwise the chances are that the same visitor can jump on to another airline or OTA site. So even as on-site display of content and messages such as “only 4 seats left” or dynamic countdown such as “10 minutes left to complete a booking” can help in a purchasing decision, certain aspects like sending a personalised content (say after 4th click) or capturing a vital piece of information can help in tapping the customer as per their booking funnel. Also, if the captured information one that is related to user’s activity on a site is mundane, it can also mean that remarketing (done via email, Facebook ads etc.) can be futile. Zine Voza, Enterprise Sales Manager (APAC), SaleCycle asserts that other than a user logging in, one has to make the most of every input that they make on the site or via on-site messaging. Hear from experts about on-site personalisation and retargeting at the upcoming 8th Mega Event Worldwide, to be held in Palm Springs, CA, USA (29 November – 1 December, 2017). How can airlines that haven’t really adopted a sophisticated approach to retailing and ancillary sales gear up for the same? Is NDC emerging as a viable option to offer legacy airlines the framework, based on XML standards, to match the “LCC” approach to unbundling or ancillary sales? As a carrier from Asia, Japan Airlines considers NDC to be an opportunity to position itself as a premium carrier that has the capability of delivering a variety of products that suits the needs of the customers. The airline has formed a cross-functional team, says Akira Mitsumasu, VP, Marketing & Strategy, Asia & Oceania Region, Japan Airlines. “Being a full-service carrier, we just don’t want to unbundle things (for the sake of it) and sell them. It could be a leisure traveller or a business traveller (even a same person travelling on different occasions/ trips), it’s about identifying a need and then presenting with relevant options,” he says. According to Mitsumasu, as an organization, Japan Airlines is gearing up for retailing and is open to fine-tuning their distribution strategy as well, including being open to the option of direct connectivity and looking beyond traditional means of airline distribution. Ai Video: Skyscanner gears up for differentiation, are airlines ready? Shopping for flights tends to get mundane when travel e-ecommerce sites or apps come up with an overly generic or inconsistent presentation of product attributes. As key players in the flight search category, meta-search engines are being counted upon to let travellers understand, compare and personalize their trip essentials by overcoming data, technology and user experience (UX) hurdles. How close are airlines to letting travellers visualize what they have to offer - Wi-Fi, power ports, seatback entertainment, food, seats, in-flight shopping, specific aircraft, baggage etc.? Yes, one can garner and compare basic information, but there are also signs that some concrete, functional information about product attributes is being showcased. Filip Filipov, VP, Product Management at Skyscanner, says, “As we go deeper into the purchasing funnel (working with certain carriers for the same), we are now showing how big is the seat pitch, what is the actual seat like (in terms of photographs/ rich content)…ultimately it comes down to whether the airline is able to provide information to us. We do intent to show as much as we can, but it’s a question of technological advancement (where airlines are able to pass on the requisite content)." In this context, the role of IATA’s XML-based standard NDC (New Distribution Capability) is being continuously scrutinized. Filipov says the standard has simplified the ways the API is structured. So, for example, every airline would define their attributes, say baggage or in-flight entertainment, in a certain manner. So considering the number of airlines, every single definition then becomes an exponential problem for an intermediary like a meta-search engine. Considering that there was “too much flexibility in the initial versions of schema and implementations weren’t the same”, intermediaries are hoping that this aspect would be taken care of in the future. The challenge for an intermediary arises considering that airlines have developed their API based on a different or a certain version of the NDC XML standard. So aggregation of multiple airline APIs requires further work to achieve the desired result. For their part, Skyscanner is open to the collaborative route, for instance, the concept of airline store-front on their platform where shopping is practically identical experience to one on airline.com. The team at Skyscanner is experimenting with rich content, be it for photographs or videos at this juncture, to improve upon the experience of the shopper. Of course airlines, too, need to play their part in making this a possibility. So, yes, attributes of a particular flight are being displayed, but there is no video yet. But one can expect lot more immersive experiences in the future, may be 3-4 years from now on. 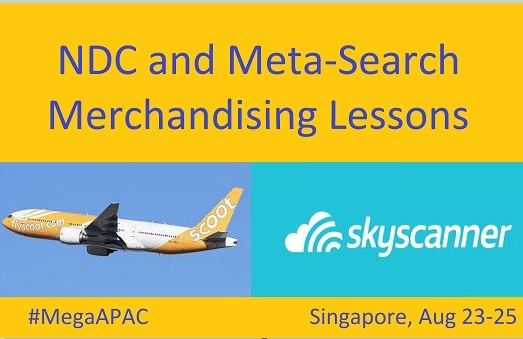 Hear from British Airways and Skyscanner about the role of meta-search and the contribution of NDC in improving merchandising at the upcoming 8th Mega Event Worldwide, to be held in Palm Springs, CA, USA (29 November – 1 December, 2017). Branded fares allow a traveller to upgrade his or her experience. Travel shoppers aren’t always after the lowest fare; in fact a considerable set of travellers are open to paying for a premium for more comfort and convenience. Among a number of factors that go into finalizing branded fares, a basic criterion that is applicable is to go ahead with 3 options. “Research has shown consumers are more tempted by a “middle choice” when three are presented,” says Jay Sorensen, President, IdeaWorksCompany, who referred to SWISS’ way of presenting the same. “SWISS adds to the attraction by flagging its Classic fare as “recommended” and using a visually larger display box. The features for each fare are listed in a simple and transparent style,” he said. It is also recommended that focus should be on simplicity, for instance, add bullet points to list the features associated with each branded fare product. Avoid generic display of information that isn’t directly related to the decision-making of the traveller. Sorensen also mentioned that the basic premise of choice needs to be supported by apt pricing strategy, and the price distinction needs to be consistent irrespective of the starting price of the base offer. Other areas of consideration include whether to set up itinerary flexibility into the branded fare choices or not, the profile of ancillary items in terms of their margin, excusive service or ancillary item that isn’t otherwise available for sale etc. Ai Editorial: How does Amadeus see NDC connection and commission for agents? Ai Editorial: How quickly can NDC connections bring about a big change in the manner in which travel agents go about selling airlines’ offerings? What about the long association between GDSs and travel agencies? Ai’s Ritesh Gupta spoke to Cyril Tetaz, Head of Commercial, Asia Pacific, Airlines, Amadeus, about the same. 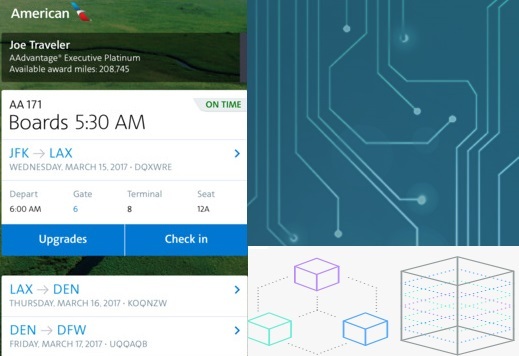 A couple of months back, American Airlines with their NDC connection, featuring end-to-end shopping, booking, and ticketing capabilities plus new content and functionality, introduced $2 per flight segment NDC commission as part of their NDC incentive programme. There are interesting aspects associated as far as the participation of travel agents is concerned. For instance, how would agencies go about developing an NDC connection? What happens to agencies-GDS volume agreements? American has mentioned that NDC is not designed to create extra work for travel agencies, and in fact, this will provide agencies with richer sets of airline products and services to compare when using NDC, “which increases consumer choice as compared to today’s legacy GDSs, which may be constrained by outdated technology“. At the same time, travel agencies are responsible for their own hardware costs. So it is also important to assess how does a stakeholder of Amadeus‘ stature foresees such developments shaping up. Is the dependency of travel agents solely on GDS getting reduced year by year? “We don’t believe that’s true,” Cyril Tetaz, Head of Commercial, Asia Pacific, Airlines, Amadeus. Tetaz also emphasized that what Amadeus offers no other GDS or channel can replicate – the Altéa community model. Over 130 of the world’s airlines, including some of the largest, use Altéa for their PSS. A section of the industry is pushing airlines to re-look at the process of creation of their offers, sharing of fares via static filings, and even 3rd parties creating the offers on behalf of the airlines. Today airlines typically publish fares through ATPCo and all distributors have easy access to them. Furthermore, the current model also relies massively on caching technology for fares and availability. “This brings speed (in response time) and cost efficiency for all travel players. As a result, travel agents do not depend entirely on airline systems to make an offer for the traveller. As we’ve seen in their public response to NDC, these are things that concern travel agencies and must be taken into consideration for whatever new model comes into play,” mentioned Tetaz. If we talk of XML connectivity, Amadeus has also been distributing LCC carriers with XML connectivity since 2008. What are issues with adoption of NDC, is it “too much flexibility in the initial versions of schema” and interpretation being different the main issue? How agents need to move along? Tetaz highlighted that the cost and difficulty of integration remain quite high and may be difficult for some parties to address. He said airlines have been largely focused on Level 3 connectivity (Offer and Order Management) that would allow airline offer creation as well as order creation, retrieval, change and travel document issuance, payment and refund to be done via NDC-XML technology. Options for integrating NDC are still in the making and being discussed by all players. “Within the context of NDC, our vision is to develop an integrated solution that can be widely adopted by both travel agencies and airlines to deliver sustainable results at a scale that matters. The objective is to ensure easy adoption in the marketplace with minimal disruption and to meet the business objectives of all parties. Collaboration across the industry will be a key factor in driving success for all players,” mentioned Tetaz. Amadeus says they are making sure that branded fares and ancillary products are available through all channels – direct and intermediated. The team has been working with over 128 airlines to date to bring to the market their ancillary services offerings. During the 2014-2016 period Amadeus has witnessed a 125% CAGR on ancillary bookings done through travel agencies using the Amadeus system, with a significant growth in attachment rate across travel agency segments. “Furthermore, we have seen double-digit growth when it comes to the number of airlines selling their fare families through Amadeus. This has facilitated the selection. of fares by travel agencies for their clients, as well as being a powerful upsell tool that has generated significant incremental revenues for airlines,” said Tetaz. Meet executives from Sabre, Amadeus IT Group, Datalex, Farelogix, Travelport, OpenJaw Technologies etc. at this week’s The Mega Event Asia-Pacific 2017 - 4th Annual Profitabilty Summit, to be held at the Grand Mercure Roxy Hotel in Singapore (23-25 August, 2017). Ai Editorial: How is Sabre placed today with “rapid of evolution” of IT offerings? By Ritesh Gupta - One big challenge that airlines need to address today is how to offer a sublime experience to passengers. There is no doubt the journey of planning, shopping, travelling and even beyond needs to add to the joy of travel. Expectedly, the role of travel B2B conglomerates has been under the scrutiny. It is being highlighted that what airlines manage to do with their content and merchandising via direct channels, replicating the same via the indirect ones has rather been slow. So constraints remain to extend this capability to intermediary channels, but that’s not a technology constraint, rather an evolving business model to be tied down with airlines partners. · What is being done to improve upon the overall IT infrastructure, industry-specific business processes, e-commerce and merchandising, distribution connectivity etc.? · Are airlines moving on from tightly integrated processes? · How can airlines craft an offer and show their content in the best possible manner via intermediaries? · Is the reliance on the GDSs set to come down? How indirect distribution is evolving? · How quickly can airlines introduce a new offering across all channels? · Is there going to be any change in “full content” agreements? And as a consequence, the tussle around the best-of-the-breed vs. a single vendor for all commercial as well as operational needs of airlines is interestingly poised. In this market, it isn’t easy to dislodge traditional players and their volume-driven, transaction processing-oriented business models. From Sabre’s perspective, Rakesh Narayanan, VP of supplier commerce, Asia Pacific, for Sabre Travel Network, asserts that the organization is evolving, just as different airlines continue to move ahead with different strategies. 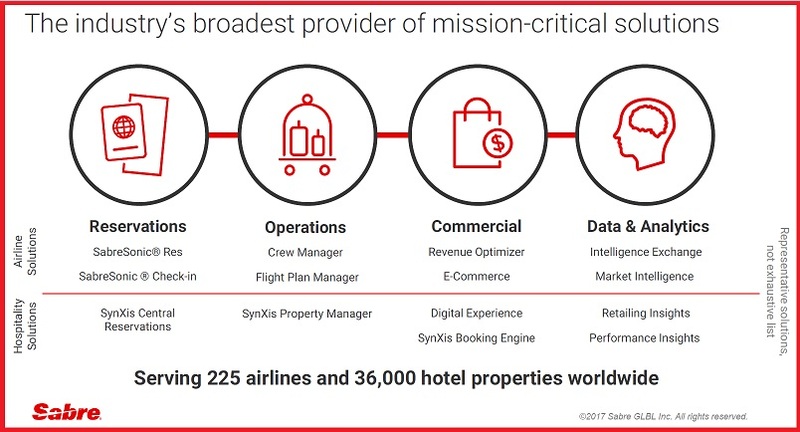 What works in an organization of Sabre’s stature is the fact that they are a provider of mission-critical offerings, spanning across reservations, operations, commercial and data and analytics. If we talk of reservations only, a decision to shift to a new solution can take years. For example, as it emerged this year, Southwest’s move to bring together multiple reservation system capabilities onto one common platform took 3 years or so, featuring over 1500 people! How are Sabre’s solutions including the PSS, Revenue Optimizer, Digital Experience, data and analytics etc. coming along? Aren’t new age IT companies taking lead, be it for letting agencies sell say advanced seat selection capabilities or branded fares or distribution of content via APIs? Sabre has been asserting that the products from 3rd party specialists are worked out in “isolation” and entail “manual intervention” to garner and put together the requisite information from passenger-service and operational systems, “resulting in delayed and inconsistent offers”. The team also emphasises that working on a retailing mindset means carriers have to plan for an astute IT architecture that is “extremely flexible, scalable and able to handle thousands of sophisticated transactions using real-time or near real-time data in a matter of seconds”. Referring to how the team has been working on right tools to enable airlines to make more money, Narayanan referred to the Digital Experience platform, which has been designed to optimize web-based offer execution. Terming the newly introduced offering as interactive and customizable, he said that flexibility and agility is coming into the marketplace for airlines to make changes, considering the significance of time-to-market and differentiation. The architecture is as such that there is provision for contextually-rich customer data between SabreSonic core services applications, its retailing platform, encompassing ancillaries, brands and non-air sales; and the Digital Experience, which distributes the optimized offer throughout various web-based channels. Sabre also allows airlines to dynamically combine and make packages based on a specific set of variables or based on value, for instance, frequent flyer program, spend with the airline etc., shared Narayanan. Another area that Sabre has been working on is their customer data hub and, as Narayanan says, the same isn’t just about FFP or previous spend or travel with Sabre. “It also helps on the service part. If a passenger had an indifferent experience then he or she could offered an upgrade or free Wi-Fi as per the policy of the airline. So the PSS allows to support customer service and revenue generation opportunities,” said Narayanan, underlining how the core functionality of the mission-critical system is evolving and supporting requirements for e-commerce and retailing. In addition to this, Revenue Optimizer combines with the PSS and looks at maximizing revenue on a segment as well as the entire journey of the passenger, could be via code-share partners. It will also start maximizing ancillaries, too. So if there are 6 special seats – whom to sell it to, and how to revenue manage? If there is a passenger who is willing to spend $100 but nothing on ancillaries, and $90 on ticket plus $20 on ancillaries, then Sabre is in a position to target the latter. So can a new product, say lounge pass, can be introduced a matter of weeks? According to the company, Sabre’s Dynamic Retailer roll-out has initiated, and the company says in “pretty much” in real-time assembling of different ancillaries or put together bundled offers or customized offers or individual offers. “So Sabre having the portfolio and the underlying platform that allows us to have an integrated solution, and not interfacing multiple systems together, enables us to most effectively provide the service and maximize revenue,” explained Narayanan. Also, integration of solutions would also feature handling of operations related to disruption. “A lot of offerings are interconnected in a certain fashion. We experience with airlines what they go through on a daily basis. So in case of a disruption, passenger services take a hit. Aircraft end up at wrong places, it is imperative to put them back in place, get schedules back, manage crew, and ensuring passengers get back to their destination as soon as possible. (One core development is) Sabre has automated recovery management tools. We have an optimal solution i. e. focused on least disruption to the passenger, ensuring airlines are operationally viable and not violating any rules/ regulations and keeping disruption cost and impact on service to minimum,” added Narayanan, again asserting the significance of a platform that can support critical functions. (Stay tuned for Sabre’s perspective on distribution including full content agreements, direct connectivity, NDC and lot more). The concept of “single view of the customer” has been around for a while. But, for me, as a passenger, it has repeatedly fallen short of expectations. To put it simply, an interaction with a brand, be it via a company-owned digital touchpoint or any physical one, isn't a seamless one i. e. not based on every data trail or the data strategy seems to be disconnected. So, for instance, as a leisure traveller I have had indifferent experiences with a couple of airlines in the recent past, and despite sorting the issues out via a call, when I have accessed the website (from the same device and IP address), there hasn’t been any recognition of my previous activity and experience. However, there are certain travel suppliers that are working on platforms supporting the idea of customer profiles. Over the years organizational silos have proven to be too big a snag to fully focus on the customer. Organizations need to reform themselves to make all of this a possibility and there are doing so. As we highlighted in one of our recent articles, Bangkok, Thailand-based ONYX Hospitality Group is capturing data right from what triggers the search to the next trip, and this entails what people tend to do and what are the opportunities to influence the behavior of the traveller. Airlines that are looking at maintaining single view of the customer aren’t leaving any opportunity to make the most of data from “log-ins” (could be a social login-in on their website) or their members. “If we know there is a booking from an OTA, we instruct our front staff (in hotels) to get customers’ email id,” said a senior hotel executive. The main focus in letting customers experience rich, experience via a direct touchpoint, and this is one way to do so is by enrolling them into a loyalty program. 1. Being aware of all interactions with a company. 2. Pre-empting what a passenger would be looking for based on profile, interests, and actions taken, may be a spa package for a couple on their next anniversary. 3. How to optimize experiences at each touchpoint? For instance, how to interact with guests at the hotel reception desk of the hotel or with passengers at the check-in counter at the airport? 5. Data is integrated from various systems and this can result in empowering staff with relevant information when it is needed most. For instance, staff at the hotel front desk is being today offered two screens – PMS plus actionable information about the customer via another screen. 6. Where is the traffic originating from, site behavior etc.? How is the conversion coming along? So clearly these platforms are enabling airlines to be in better control of what they can do on their digital assets. This reflects in terms of what is being shown to users in real time, based on past behavior, on the IP address etc. It is the dream of every marketer to have a rich set of customer data that is consistently available at every touchpoint that they would want to use to personalize the experience – be it for buying a banner ad, tailoring an email or how the staff recognizes the guest and greets a loyalty program member. But considering that people are using more and more devices, across more platforms, this explosion of data at different locations continues to pose a bigger challenge. Not a straightforward task to gain a single view of the guest. More than automated decision-making, it looks as if disconnected data is a bigger challenge. If technologies are disconnected across channels, then there won’t be any single view of the customer journey, and this means one would struggle to personalize in context. The promise of shaping these profiles on the basis of real-time data is fine. But if we talk of the same being collated from every source or channels, there is still a long way to go. There are certain areas that are beyond the control of a hotel or an airline. For instance, the level of data transparency in case a travel e-commerce works with ecosystems like Tencent, Alibaba or Facebook would wary. Also, travel suppliers really don’t expect sharing of data when we talk of experience of a customer who has booked via an OTA. The advertising technology space has evolved considerably and continues to do so. For instance, 3rd party data is facilitated in a swift manner as compared to even few years ago. Travel e-commerce players can buy data, avail APIs to upload lists and do matching and lookalike modeling. But is it enough? Travel marketers need to sort out issues related to single view of the customer to deliver contextual experiences and eventually 1-to-1 personalisation – be it for time and cost of implementation, how to integrate with channels, how to activate data, dealing with cultural challenges within an entity etc. 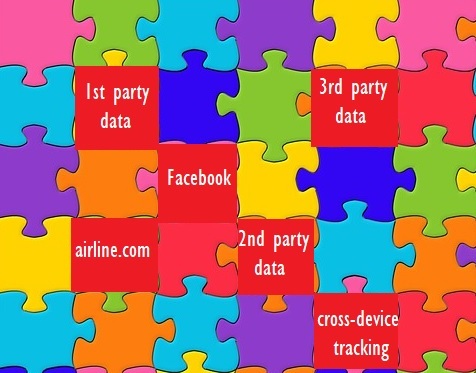 Other than managing 1st party data, airlines also need to act on other sources of data. The key question one needs to consider – how can one unified marketing stack strengthen the pursuit of “single view of the customer” and also overcome the elusive match rate hurdle. Where do you stand with your data strategy? Hear from the travel industry executives at the upcoming The Mega Event Asia-Pacific 2017 - 4th Annual Profitabilty Summit, to be held at the Grand Mercure Roxy Hotel in Singapore (23-25 August, 2017). 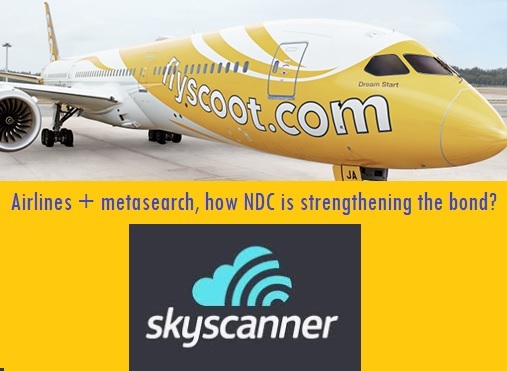 Ai Editorial: Airlines + meta-search, how NDC is strengthening the bond? A traveller doesn’t differentiate between interfaces and channels - it could be an airline app, Facebook Messenger, a WeChat chatbot etc. or could be airline.com, OTA.com, meta-search engine etc. As long as one is being served apt content, choice/ recommendation, offer, payment method…it’s fine. Airlines, meta-search engines, OTAs etc. have to find out ways to crack seamlessness, one that depicts understanding the intent of the traveller as per the booking funnel and aiding them in taking a decision. The industry needs to add to the joy of travelling, and take painpoints out of the equation. Be it for itinerary, in-flight meal, clarity over seating and baggage allowance, experience at the airport and so on makes a trip worthwhile. In this context meta-search engines are being keenly followed, considering that their position comes into play quite early in the booking funnel. If on one hand, meta-search companies are even “moving further up” via features such as traveller inspiration timeline and push notification of travel ideas, on the other side they are also drifting away from pure lead generation. The focus is on meeting requirements of a trip, rather than just offering standalone products, and also facilitating transactions within the meta-search environment. And there is more to this, as the category is looking at fulfilment and customer service, too. At a time when even the definition of direct distribution is being questioned, it is worth assessing how meta-search engines approach the omni-channel shopping. If “instant booking” isn’t enough, then what are meta-search engines working on? How are they working with airlines to showcase their products, including branded fares, bundled products etc.? Meta-search engines have been working with airlines to craft an attractive merchandising offer with rich content (for instance, baggage allowance, upgrade options etc.) and whatever can differentiate the offering. One key development here is IATA’s data standard NDC. So what happens when there are different versions of one standard, then aggregating multiple airline APIs requires the “normalisation” of these APIs into a single version. As of now, it seems like over the past few years, there will be evolving versions of the schema that will impact the specific XML messaging, in that messages themselves will change over time – new ones added, existing ones modified, etc. So considering that airlines have developed their API based on a particular XML standard (NDC or even other), it would result in different interpretation of these standards. As for airlines, there is a need to re-look at their own IT infrastructure to refine retailing capabilities. In fact, the industry is already looking at major transition, embracing cloud-native, API-led architecture as part of digital transformation. As for sector-specific systems, airlines have been separating core functioning of a PSS that are needed to run operations, and opting to control their own merchandising (control over distribution as well as showcasing core product and air ancillaries to depict value to passengers), e-commerce and API technologies for differentiation. Also, airlines need to scale up for the meta-search world in a cost-effective way, delivering massive search volumes without look-to-book restrictions and the ability to respond in fraction of a second. Trevor Spinks, Head of Sales & Distribution, Scoot and Filip Filipov, VP Product Management, Skyscanner are scheduled to speak at the upcoming The Mega Event Asia-Pacific 2017 - 4th Annual Profitabilty Summit, to be held at the Grand Mercure Roxy Hotel in Singapore (23-25 August, 2017). Ai Editorial: Airlines recognize that speed is of essence when it comes to the efficacy of their customer-facing systems. Ai’s Ritesh Gupta explores the role of a cloud-native architecture in delivery velocity as part of the overall digital transformation. Airlines have been relying on cloud services platforms, signalling a shift in the IT consumption model. So rather than paying for IT infrastructure capacity upfront, today’s organizations are opting for pay-as-you-go model, accessing servers, storage, databases and application services over the Internet. As seen over the years, cloud has played a key part in digital commerce. For instance, page speed is critical, with every millisecond being crucial. So to step up the conversion rate, cloud infrastructure was chosen to keep latency to minimum, supporting application servers and databases in specific regions to support users. Airlines have been relying on cloud technologies to deliver services such as luggage drops with label printing and self-boarding gates, and personalisation by enabling the customer-facing staff, for instance, providing the airline’s cabin crew with contextual, relevant information to serve their loyalty program members in a consistent manner. As for emerging cloud developments, airlines can step up their ancillary revenue generation by capitalizing on journey data. As it emerged during our Ancillary Merchandising Conference in Spain this year, a new 3rd party cloud-based platform is emerging that can integrate airline’s inventory system and central reservation system to display contextually relevant information or ads in real-time. So airlines can make the most of their data to garner incremental revenue. Also, in the wake of outages, it is being pointed out that mission-critical systems have to move to the cloud, ensuring stored backups are secure, data is stored in multiple locations to ensure sufficient backup etc. Airlines are scrutinizing and even executing plans to embrace cloud transformation, banking on open-source offerings rather being bogged down by proprietary technology. Focus is on ways to integrate real-time data, search, and analytics into applications to optimize travellers’ journey. This essentially has become an integral part of digital transformation, a massive undertaking that features speedy and constructive progress on several counts to strategically leverage digital technology. In fact, considering the complexity of the IT set up that this industry has, there are options available to integrate applications, data and processes across both on-premises and cloud environments. There are 3 models for cloud computing - Infrastructure as a Service, Platforms as a service and Software as a Service. Among established organizations in this industry, American Airlines has decided to migrate to cloud a quota of their crucial applications, including aa.com, mobile app and network of check-in kiosks. The plan is to enable developers to swiftly set up and modify application functionalities for American’s passengers. These customer-facing systems will be on cloud. As American chose to move its applications into the cloud, it considered factors such as security (the role of technologies such as encryption and tokenisation comes into the picture) as well as connecting legacy applications to the cloud at enterprise scale. The cloud business model that the airline has chosen is a hybrid one. According to the airline’s partner, IBM, the airline would maintain backend connectivity to other on-premise legacy and third-party systems, for “true hybrid cloud functionality”. As American says, the goal is set up a cloud-native architecture. What does this mean? It is about capitalizing on cloud computing – making use of vast computing power on-demand and pay-as-you-go. An organization needs a platform for running cloud-native applications and services, as a method for abstracting away from core infrastructure dependencies. For their part, American Airlines intends to create, try and release applications frequently and speedily. Also, all of this would be change ready for release as soon as it is ready. This would be made possible via a microservices architecture (working on an application as a collection of small services; each service implements business capabilities), agile methodology, continuous delivery (individual software updates available for release as soon as they are ready), DevOps (association between software developers and IT with the objective of automating the procedure of software delivery and infrastructure changes), and lean development. So a cloud services platform is must for operating cloud-native applications and services that automates and integrates all these concepts that fall under digital transformation. Harnessing cloud for digital transformation isn’t a straightforward process, with re-designing of IT architecture or operating in functional silos within IT being primary challenges. · How to migrate applications to a cloud-native microservice architecture? What makes for a resilient cloud native microservice architecture? · To what extent one can bring down the probability of prolonged irregular operations? The days of traditional software development and infrastructure management processes are getting numbered. Cloud has positioned itself as a competitive advantage, letting developers optimize what they offer and presenting airlines with an opportunity to run with lean methodology and automated IT operations. Hear from senior travel industry executives about digitization and ancillary revenue at the upcoming The Mega Event Asia-Pacific 2017 - 4th Annual Profitabilty Summit, to be held at the Grand Mercure Roxy Hotel in Singapore (23-25 August, 2017).